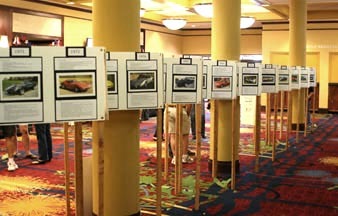 1959 - 2009 History of the World, Corvettes and soon....NCCC! Chris Beebe with the help of her husband Larry Beebe of the Cedar Rapids Corvette Club in the West Region researched and created an Historical look at the World and the Corvette during NCCC's 50 years from 1959 through 2009. This Timeline was posted in 2009 on boards that were displayed from August 8th through August 14th during 50th Convention week in Colorado Springs, CO. Below there is a PDF linked that includes all 50 years of their Timeline in addition to individual PDFs for each individual year.